**Beast is the first in a series of fairytale retelling novels. 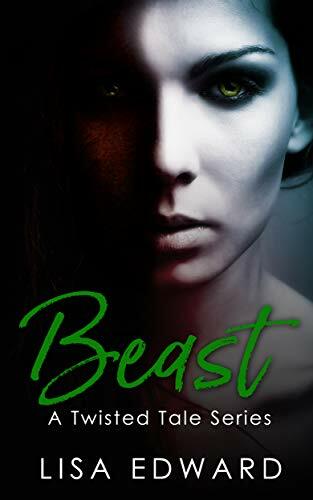 Lisa Edward puts her own spin on the age-old fairy tale of Beauty and the Beast and in turn, turns it on its head. I loved that this book contained a message, an outstanding message, one where lessons are taught and learned and most importantly learned from. How a person can grow from tragedy and rather than let it define them but morph them into a better person. This is the story of Annabelle and Tyler, where beauty is in the eye of the beholder, beauty is only skin deep, and you should never judge a book by its cover, albeit the dust jacket may have been a fair representation of the past. Annabelle was a hard character to love in the first instance, superficial, bitchy, pretentious and was the ‘it girl’ and she knew it. Every girl wanted to be her friend or be her, she had a charmed life, was spoilt rotten and was one of the girls that came across as totally irredeemable. I had to question where the author was going with this story because, quite frankly, I didn’t want to read about her. I knew that something was going to happen and Lisa Edward did the impossible, she redeemed the irredeemable. By the end, I loved Bella, her metamorphosis was complete. Tyler was one of those guys you couldn’t help but love. Selfless, with a huge heart and it took someone like him to see past Annabelle’s personality flaws. Tyler saw the woman underneath, he saw past the façade and encouraged Bella’s change for the better. For a short story, this book certainly packed an emotional punch, and at times I did have tears in my eyes. People are so fickle in this day and age, appearances are the be all and end all, and little regard is given for the person underneath. I do feel that Bella was a product of her mother's beliefs and the upbringing that she was given and it took losing something that she took for granted for her to find her inner diamond, after all, even diamonds have flaws. Absolutely loved this short and its message.